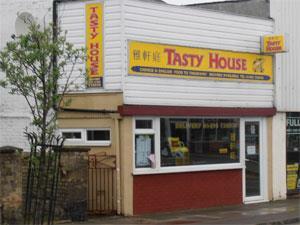 Tasty House in Caister-on-Sea near Great Yarmouth is a takeaway serving Chinese cuisine. On arrival in Great Yarmouth follow signs for the A149 towards Caister-on-Sea, proceeding past Yarmouth Stadium over the mini roundabout towards the village. Tasty House is located just before the next mini roundabout on the left hand side.